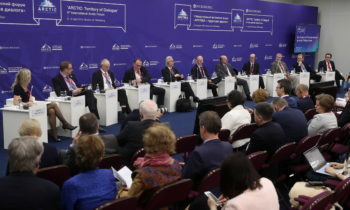 A number of important documents on cooperation were signed by the Arkhangelsk Region and regional representatives and large companies at the ‘Arctic: Territory of Dialogue’ 5th International Arctic Forum. On the eve of the Forum, Governor of the Arkhangelsk Region Igor Orlov and Acting Governor of St. Petersburg Alexander Beglov signed an Action Plan for the development of cooperation between the governments of the Arkhangelsk Region and St. Petersburg for 2019–2021. 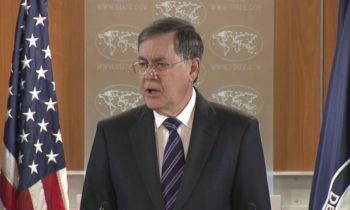 The document expands previously reached agreements between the two Russian constituent entities on trade and economic, scientific, technical, and cultural cooperation, adding important fields such as health, education, sports, and the implementation of youth policy. The Arkhangelsk Region and the Republic of Karelia signed a cooperation agreement defining key areas of cooperation between the two regions for the upcoming three-year period. Governor of the Arkhangelsk Region Igor Orlov and Head of the Republic of Karelia Arthur Parfenchikov identified further cooperation in education and science, the implementation of youth policy and fish farming and forestry projects, and cooperation in the preservation of cultural heritage as priority areas. The Arkhangelsk Region and the Nenets Autonomous Okrug plan to work together to develop interregional air transportation. The corresponding agreement was signed at the International Arctic Forum by Governor of the Arkhangelsk Region Igor Orlov and NAO Governor Alexander Tsybulskiy. As per the document, the regions made known their intention to work together to develop aviation assets and regional and interregional air transportation. 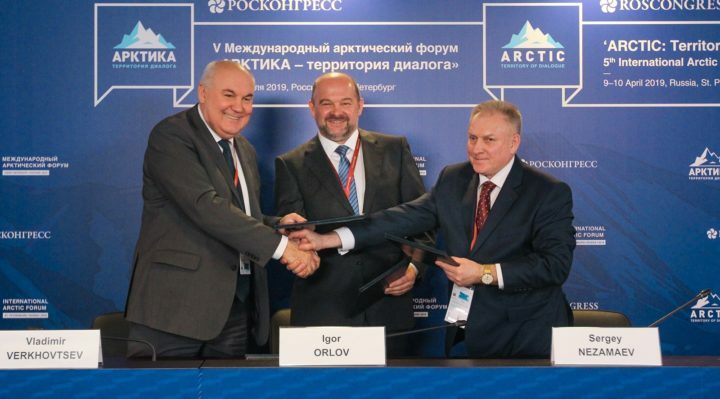 The Arkhangelsk Region Development Agency signed a cooperation agreement with the Roscongress Foundation at the International Arctic Forum 2019. 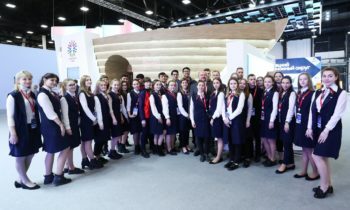 The document was signed by Roscongress Foundation Chairman of the Board and CEO Alexander Stuglev and Agency General Director Maxim Zaborsky. The agreement is aimed at furthering cooperation and interaction between the foundation and the agency on a long-term and mutually beneficial basis for the purpose of increasing the investment attractiveness and export potential of the Arkhangelsk Region, promoting promising regional investment, export, and other business projects in domestic and foreign markets, and improving legal culture. A tripartite agreement was also signed at the Forum and aims to support the Pavlovskoye lead-zinc ore deposit mining and processing plant construction investment project, with total investment in the project estimated at RUB 35 billion. The document was signed by Governor of the Arkhangelsk Region Igor Orlov, General Director of the First Ore-Mining Company JSC Sergey Nezamaev, and General Director of Atomredmetzoloto JSC Vladimir Verkhovtsev. in areas such as personnel training, advanced training and preparation of workers of large industrial and shipping organizations, as well as on fundamental and applied research. “We are looking for points of growth shared by our territories that will allow us to achieve the goal set by the President aimed at ensuring the quality of life of Arctic inhabitants on a national level”, Orlov said. “Nowadays, it is essential to increase not only capabilities but also content while working on this issue, which will ultimately significantly affect the quality of life in the Arctic territories”.